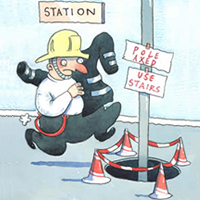 Sensible health and safety is about finding ways to enable activities to go ahead safely – not finding ways to stop them. If you are concerned about actions that appear disproportionate or a decision that does not make sense then why not challenge that decision directly? Understanding the basis for a decision or precaution will help you tackle your concerns. In some cases, you will find the source for a council’s decision or procedures come from legal requirements, in guidance, in the organisation’s policies or in advice from others like an insurance company. This will help you understand the decision and identify whether it is based on facts, whether there is any flexibility in what the law or guidance says is needed, or whether it’s just based on myths and misunderstanding. Once you know the basis for a decision you can consider your options for taking action to help you find a way of challenging it more objectively.